First release for Kompakt's K2 for the new year! 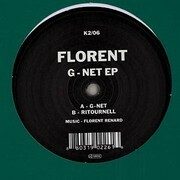 Florent's "G-Net Ep" is as good as the K2 stamp on the cover of the 12'' suggests. Similar attitude as the previous K2 releases & the grooves' warm ananlog feel will not dissappoint.